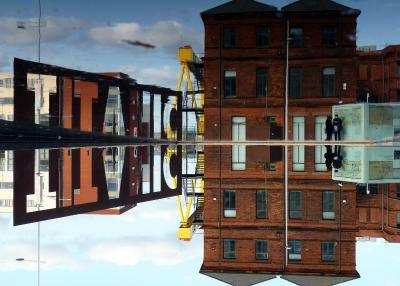 Lock in a great price for Titanic Hotel Belfast - rated 8.9 by recent guests. Lovely to stay in rooms that were decorated in a style that was reminiscent of the titanic times, yet brought up to date. We met a member of staff called William, he was very helpful and knowledgeable of the Titanic and a pleasure to talk to. Hotel, room and location all very good. Gorgeous Hotel, Excellent Staff. Zip was very helpful and Friendly. Lovely atmosphere and Great food! Loved it! Resturant in hotel very reasonably priced. Very comfortable, clean and all staff friendly and welcoming. Directly across road from museum. 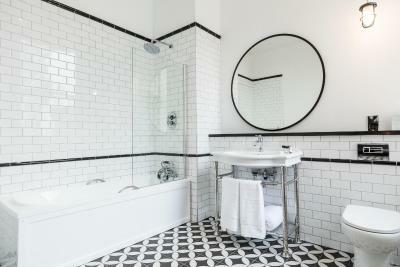 Building was beautiful, rooms stylish and spotless. Bar and restaurant areas really nice and great atmosphere. Plenty of people about without being to noisy. Location was great. Such a super location - and very comfortable rooms. 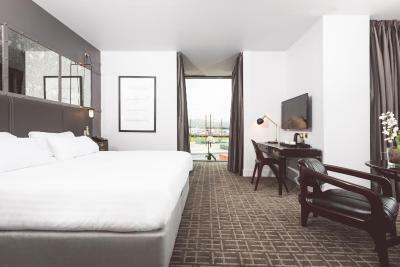 One of our top picks in Belfast.Featuring free WiFi and a restaurant, Titanic Hotel Belfast is located opposite the Titanic Belfast. It is 650 yards from the SSE Arena. Guests can enjoy the on-site bar. 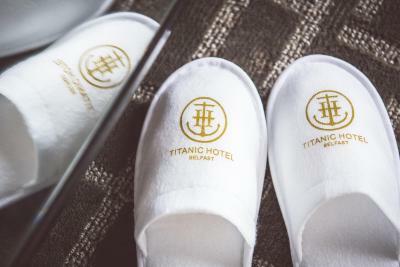 Titanic Hotel Belfast has been welcoming Booking.com guests since 14 Aug 2017. When would you like to stay at Titanic Hotel Belfast? 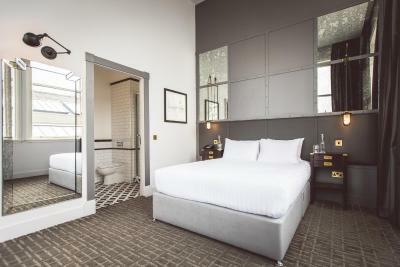 This twin/double room features en-suite facilities with complimentary toiletries and a hairdryer. Guests will find tea/coffee making facilities and a desk in the room. Private parking is possible at a location nearby (reservation is not needed) and costs GBP 15 per day. 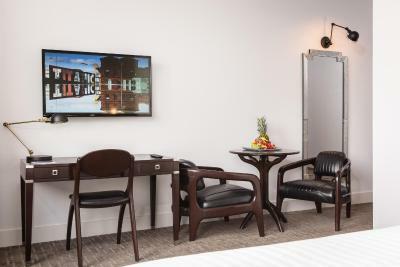 This room features a king-size bed and a work area with a desk and tea/coffee making facilities. 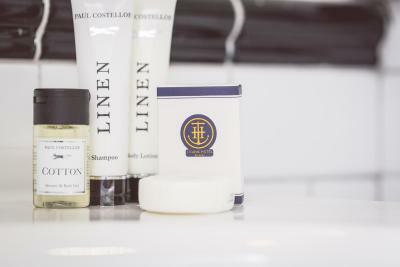 The en-suite facilities feature bathrobes, complimentary toiletries and a hairdryer and shower. 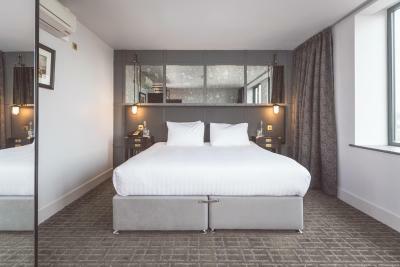 This twin/double room features air conditioning, electric kettle and bathrobe. 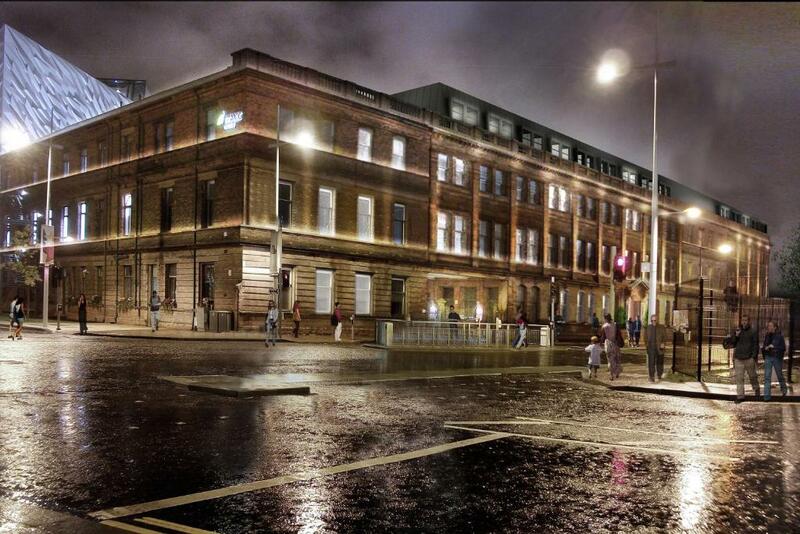 House rules Titanic Hotel Belfast takes special requests - add in the next step! Bankcard Titanic Hotel Belfast accepts these cards and reserves the right to temporarily hold an amount prior to arrival. 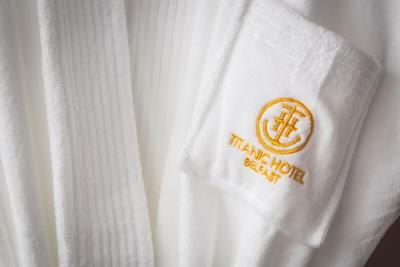 Titanic Hotel Belfast accepts these cards and reserves the right to temporarily hold an amount prior to arrival. The lift was very noisey..we stayed in room 202 and lift was going all night.....other than that our two night stay was great ....lovely staff a d food. It wasn't close to very much, although a 15-20 minute walk along water into City Centre. No resturants round or near by need to go to centre of Belfast. The coffee ( Cortado ) was not good. No information or directory in bedroom. 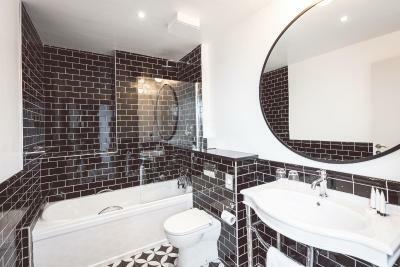 Only minimal products in bathroom. Location was a taxi drive away from city centre. 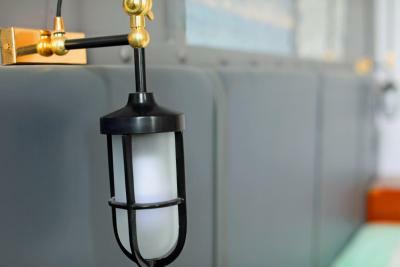 When an issue arose over inclusion of breakfast it was not dealt with quietly and privately and made us feel as if we had done something wrong when it was only a misunderstanding of our booking. Very comfy bed and rooms. Not keen on buffet grilled breakfast food not always very hot! House cleaner knocked on room two days running early to clean room at 8.30! Great place to stay! Comfortable room with a great view! Good informal bar with excellent food! The best hotel I have ever stayed in! My partner proposed to me and they couldnt have made it more special!